Built by the long-established Siome Covema (originally S.I.O.M.E.) Company in France from the 1940s until the 1970s at the Zone Industrielle de Beauregard, 19 Brive (with technical and sales offices at 15 Rue de la Nouvelle France 93 Aubervilliers) the amazing Siome Covema Multi-function machine tools were constructed in a variety of types and sizes. Early models were, of course, of much lighter construction than later versions, the TC-5 appearing to be the most popular of the range with many sold for use on board French navel ships. The more modern model, the TA2 shown immediately below, had the unusual ability to elevate its entire headstock under hydraulic control. This was a feature also found on some other "ordinary" S.I.O.M.E. 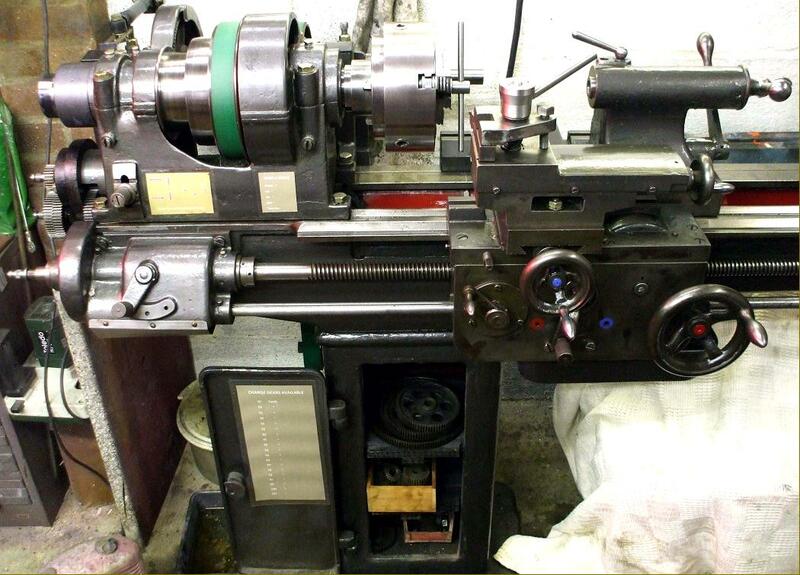 lathes, with a much earlier example having the same facility built into what was otherwise a conventional backgeared and screwcutting model. Of a nominal 200 mm centre height (measured at the No. 4 Morse taper tailstock) and 1000 mm or 1600 mm between centres, for large diameter facing work the headstock could be elevated to 350 mm above the bed; to get the cutting tool at the right level a fixed-height raiser block was used under the top slide in conjunction with a packing piece beneath the standard-fit 4-way toolpost. Although the lathe was able to accommodate even larger jobs (with the centre height raised so that a disc some 840 mm in diameter could be swung over the bed) because the cross slide would have been drawn too far out for rigidity and safety the cutting tool could not reach the periphery of such a workpiece. 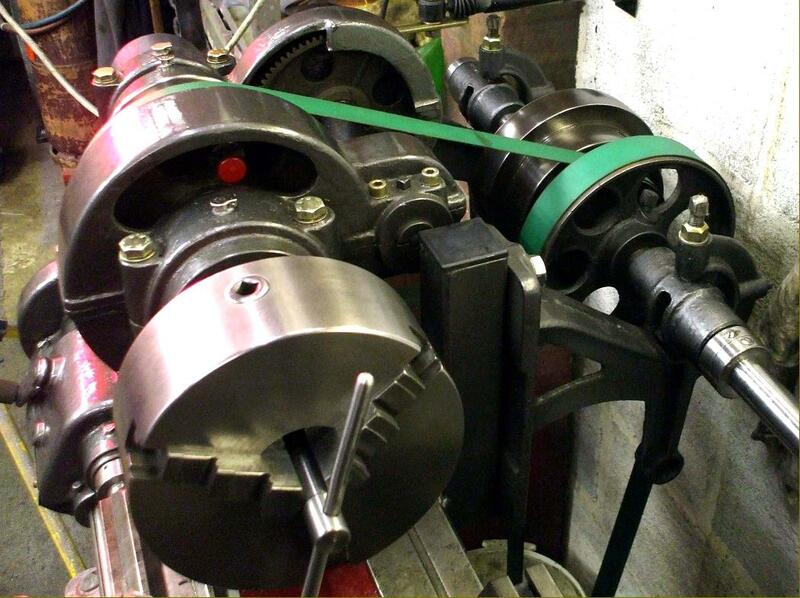 In order to hold between-centres work above the normal level a special adjustable bracket was provided into which the tailstock barrel could be clamped. 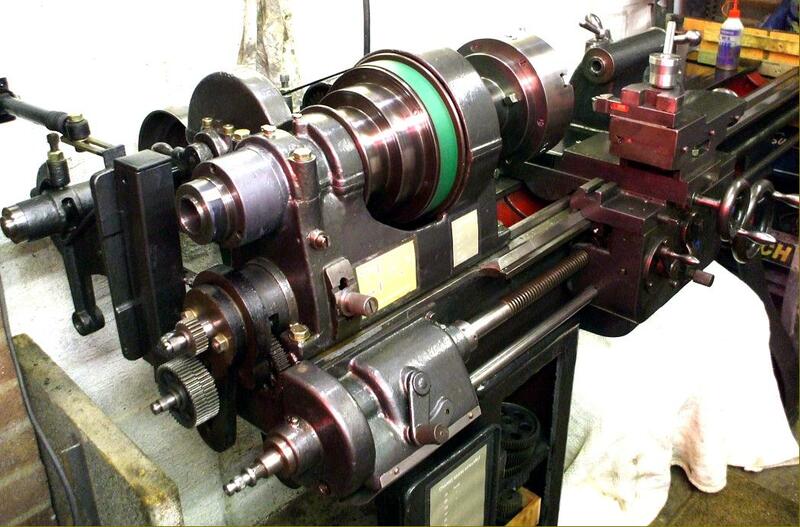 The 38 mm-bore headstock spindle was driven through its speed range of 26.5 to 2000 rpm (or, optionally 33.5 to 2500 rpm or 21 to 1600 rpm) by a 2-speed 5/3.5 hp 3-phase motor. A cover on top of the headstock could be removed and, in its place, a three-way swivelling vertical milling head fitted; although this was a very useful accessory, with the operator able to set compound angles for machining in three planes, the lack of a quill feed would have restricted its ultimate versatility. Entirely conventional, the carriage had a spindle start, stop and reverse control lever pivoted from the right-hand face of the apron and long, easily manipulated handles controlling the selection and engagement of the sliding and surfacing feeds. 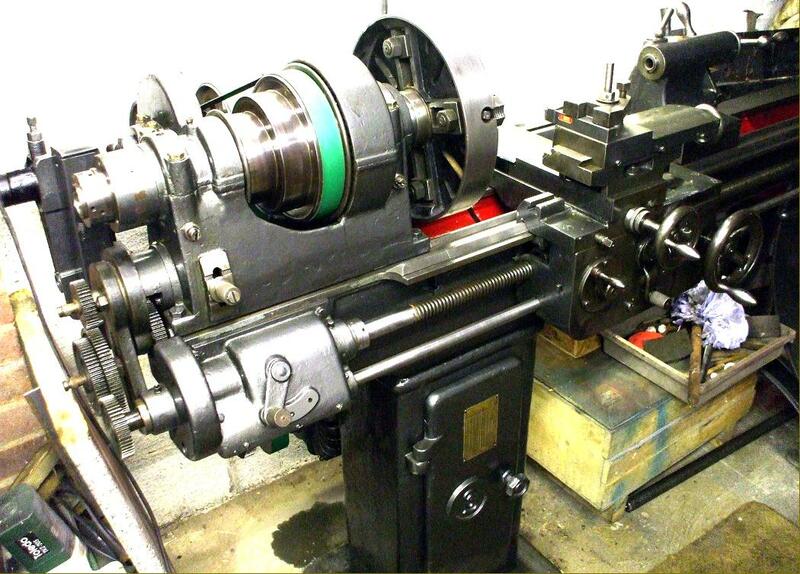 The 710 x 230 mm cross slide had three, long 12 mm traverse T-slots spaced 80 mm apart, a travel of 335 mm and was able to mount, in order to accommodate larger or more awkward jobs, a big 5 T-slot boring table formed with a circular clamping flange that enable it to be rotated to into the correct position.. The TA2 weighed 1800 kg as a short-bed machine and 2000 kg as a long bed.. Although a very useful and well-built attachment the 3-way swivelling vertical milling head lacked a quill feed and needed a considerable effort to lift it into place.